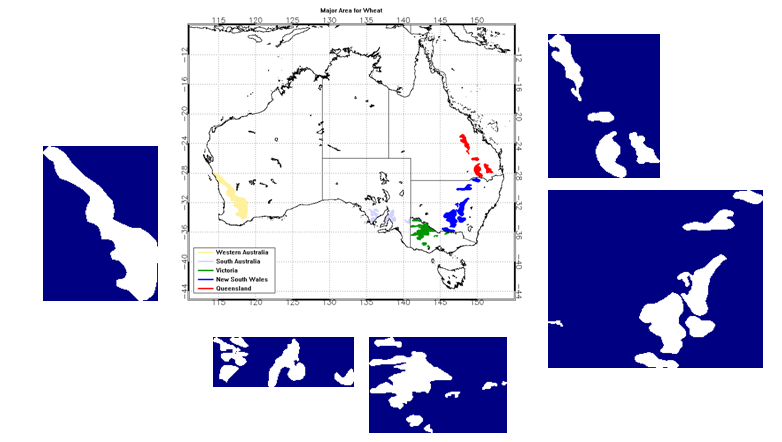 Spatial coverage of major Wheat Areas in 5 states of Australia were provided by USDA through GIS files, colored by states in main map and white areas in zoomed map. Smoothed NDVI data were collected from AVHRR-VHP data set for the peirod from 1981 to 2016. 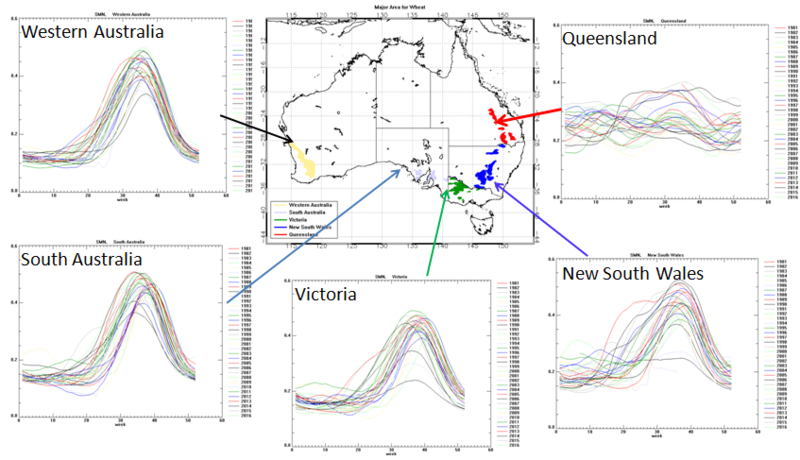 Areal mean SMN for major wheat Areas in 5 states were calculated. Below picture shows weekly SMN time series for each year. 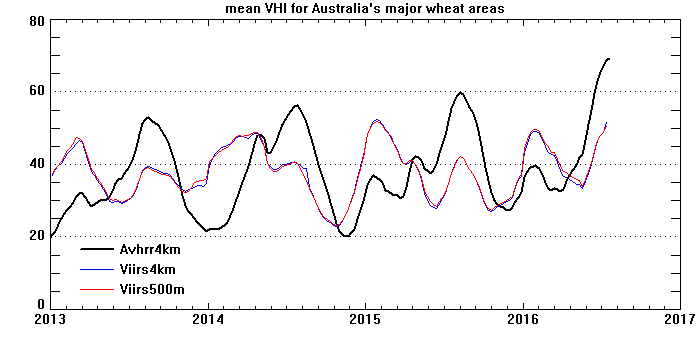 Mean weekly vegetation health index (VHI) for the major wheat areas in 5 states of Australia were collected from AVHRR-VHP data set for the peirod from 1982 to 2014. Digital data derived from AVHRR 16km VHP data set is available at here. 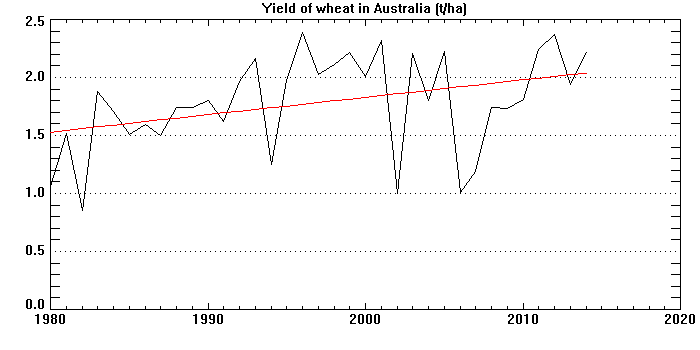 Data of yield of wheat in Australia were collected from FAO web site. http://faostat3.fao.org. 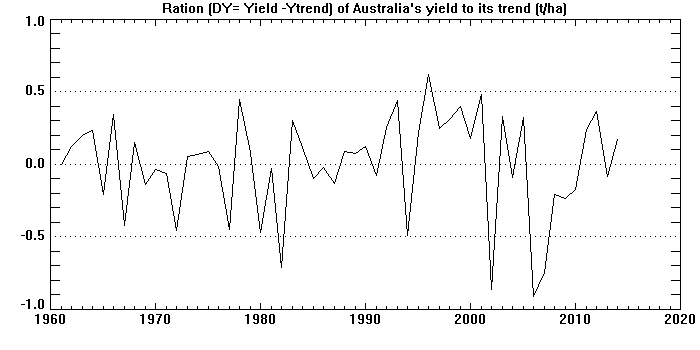 Ration of yield (DY) were calculated by removing the trend. 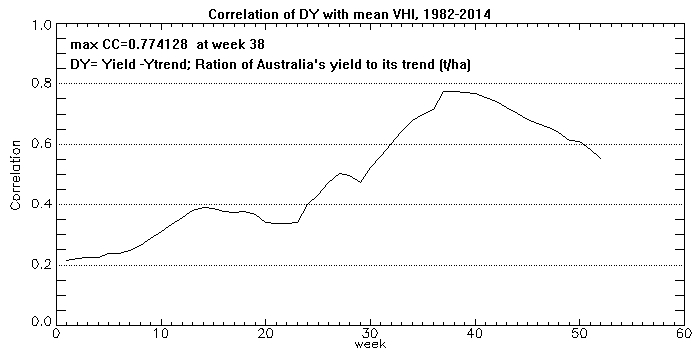 Correlation between VHI and DY were calculated for each week. 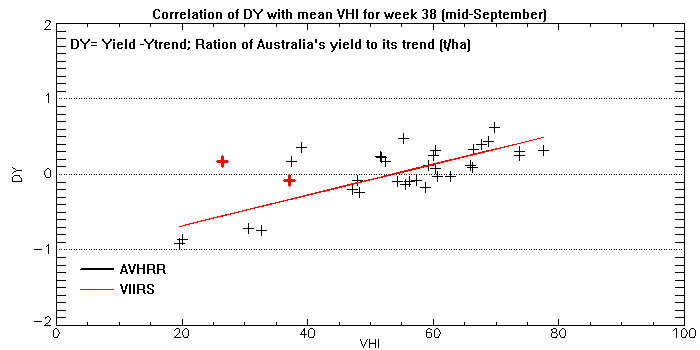 It was found the correlation coefficient reach its maximum value at week 38 (mid of September).